Few things in life are as unpleasant as a vehicular accident. Not only is the accident itself stressful at the time, but the legal procedures that follow only make matters worse. If you are suffering from an auto-accident injury, then you could be looking at lost wages, constant pain, and impairment that affects you for the rest of your life. It's an experience that no one should ever be forced to deal with, yet so many do on a daily basis. Reacting appropriately after an auto accident is extremely important. It is not a situation that should be “brushed under the rug”. Rather, you need to take steps immediately to ensure that you are cared for medically and financially. Many drivers who find themselves in an accident have no idea what steps they should take, aside from calling their insurance company. Because of that, they often lose the ability to file a lawsuit or receive adequate compensation for their damage. One of the first steps that should be taken after suffering from an accident is visiting a chiropractor. More specifically, it should be a chiropractor who specializes in injuries related to auto accidents. They will have the medical training and experience to diagnose and help correct problems caused by the accident. If a lawsuit is filed, then their medical opinion could be one of the most important pieces of evidence to support your case. Avoid making the mistake of not visiting a chiropractor simply because you don't feel pain at the moment. It is possible for symptoms to remain dormant for days, weeks, or even more than a month after the accident before appearing. If you were to wait too long and then begin visiting the doctor, it would hurt your case when filing a lawsuit. There needs to be proof of injury and the court needs to see that you were seeking medical attention as soon as possible after the accident. Seeking immediate medical attention will help establish a firm timeline of when your injuries occurred. If you wait too long to seek medical attention, then the defense attorneys will exploit the delay in court and it could cause you to lose the case. 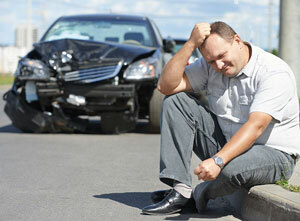 Contacting an auto-accident injury attorney around this time is also highly advised. You will only have one year in the state of Michigan to file a lawsuit and receive the No-Fault insurance benefits. You are advised to begin the lawsuit process as soon as possible. It's important to understand what the courts will be looking for during the lawsuit. Both your attorney and your chiropractor can help you in this regard. As a victim, you must show that you endured more than just physical pain caused by the accident. Show the court system how the accident has impaired your normal life. This could be via loss of time at work, lost income, extended medical treatment, or losing the ability to perform your normal hobbies. An alarming number of drivers don't visit chiropractors after an accident. Those who do, however, often regard it as a great decision. Traditional medicine certainly has its merits, but chiropractors excel at getting patients back to their daily lives and normal routines without relying entirely on medications. And, in many cases, they can do so faster than traditional medicine. It's all-around a better treatment when considering the type of damage caused by an auto accident. Visiting a chiropractor could be the difference between living a normal life or living a life in suffering. Modern chiropractors offer numerous services, many of which are highly advanced. This includes traditional physical therapy, massage therapy, and class IV laser therapy as well. Each of these treatments will help you get back on your feet, return to work, and live your life as you normally would. Ideally, you should visit a chiropractor who has experience with auto-accident injury as soon as possible after an accident. If not, you should at least visit one if experiencing any of the following symptoms. You absolutely need to see a chiropractor if experiencing any of those symptoms. However, you shouldn't wait for symptoms to appear to make the visit. You have the best chance at winning your lawsuit and healing your injuries if you make the visit a top priority following the accident. It should be one of the first things on your list after speaking with the police and the insurance companies. Not only could it ensure you receive appropriate compensation, but it can help you overcome the pain and impairment caused by the accident.